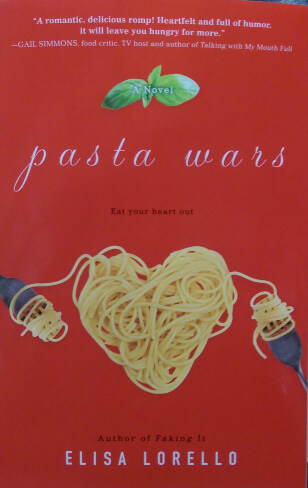 After an introduction by English professor Precious McKenzie, who invited Lorello to RMC, Lorello read an excerpt from “Pasta Wars.” As she read, the auditorium was notably silent as many in attendance seemed thoroughly captivated by the story. Following the reading, Lorello took questions from the audience and offered tips for student writers and aspiring novelists. “I enjoyed the reading, and I especially enjoyed the Q&A because that’s when I got to engage with the audience and have a conversation with them,” said Lorello. Among other things, we talked about “women’s ction” as a genre, character development, and a little bit about the writing process. During the event, Lorello stressed the importance of taking a character and putting them through the wringer. A character has to want something and somebody else or something else has to be standing in the way of the character receiving it. When a character is placed in uncomfortable situations or has a goal to strive for, the story springs forth naturally. The narrative weaves itself as the characters are tested and shaped by the circumstances crafted by the writer. For more on Elisa Lorello, visit her website elisalorello.com.